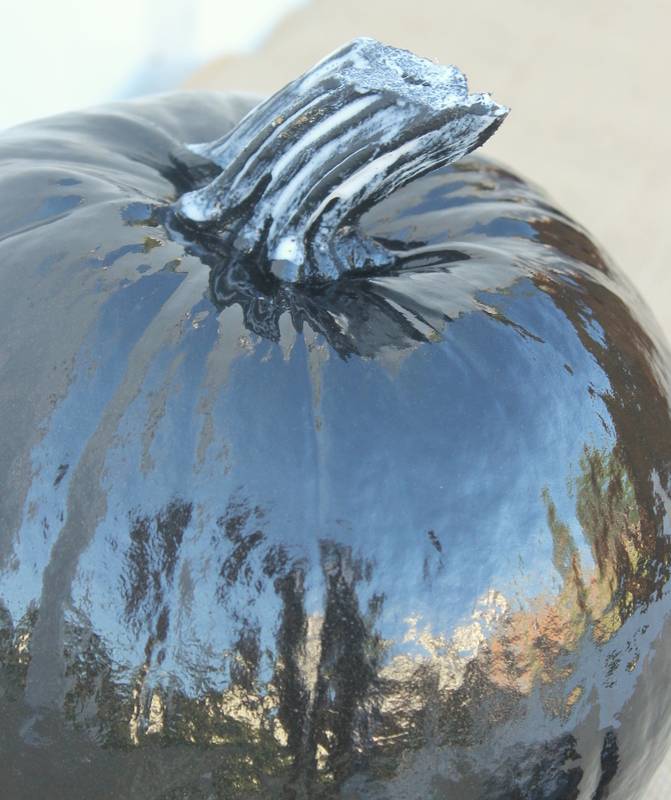 We have made our way to the pumpkin patch and picked an array of perfect pumpkins to adorn our home and yard for the season. And along with our Au natural pumpkins, we decided to add a bit of glitz to a few others, just to add a touch of glam to our seasonal fall decor! 1. 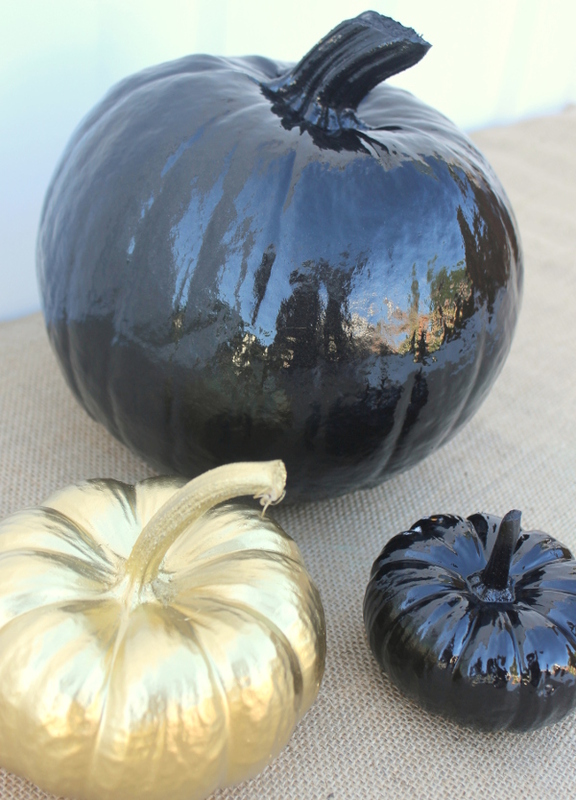 Begin by spray painting your pumpkins in the color of your choosing. 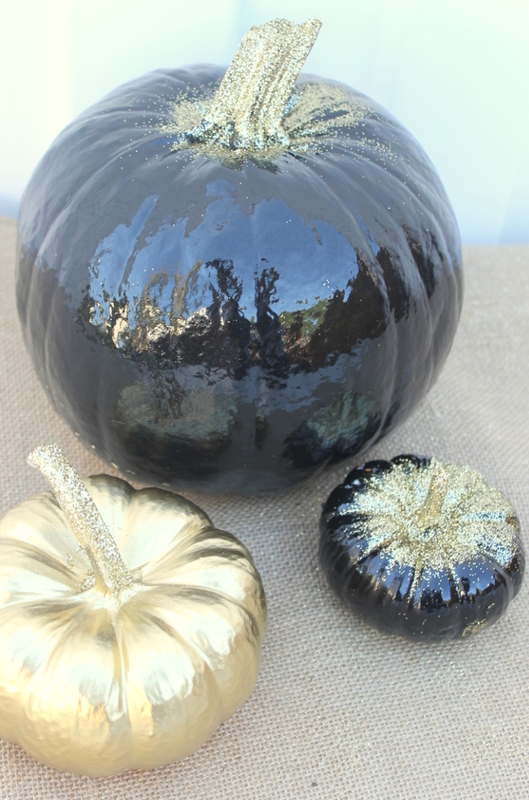 We chose a classic black & metallic gold, as they have been favorites of ours this season! 2. 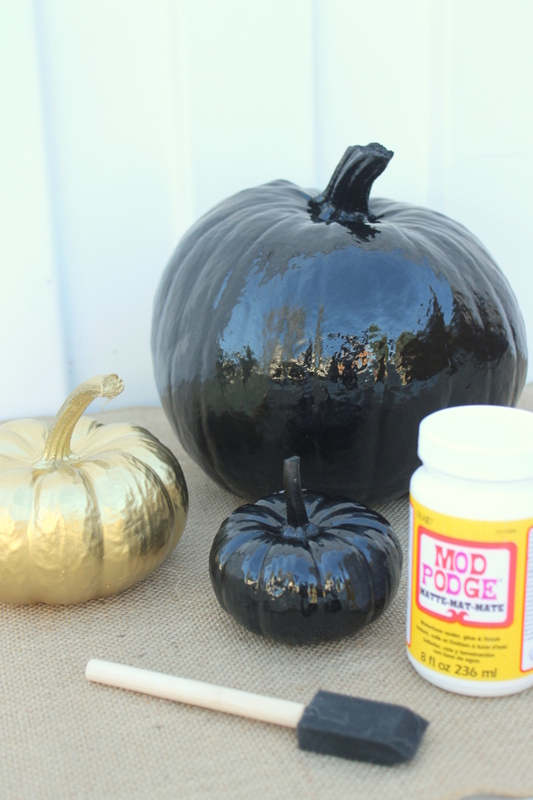 Once the paint on your pumpkins has dried, it is time to Mod Podge! 3. 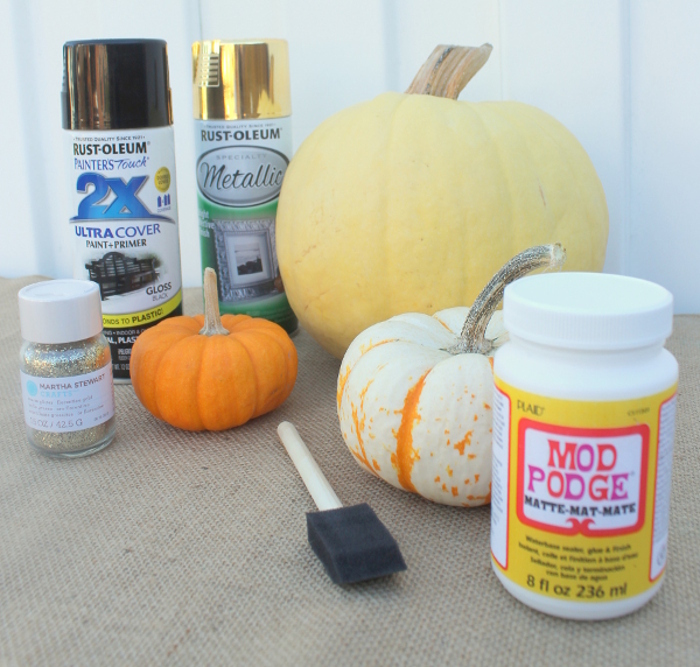 Using your foam brush, add a layer of Mod Podge to your pumpkin stem and anywhere else you would like your glitter to stick. 4. 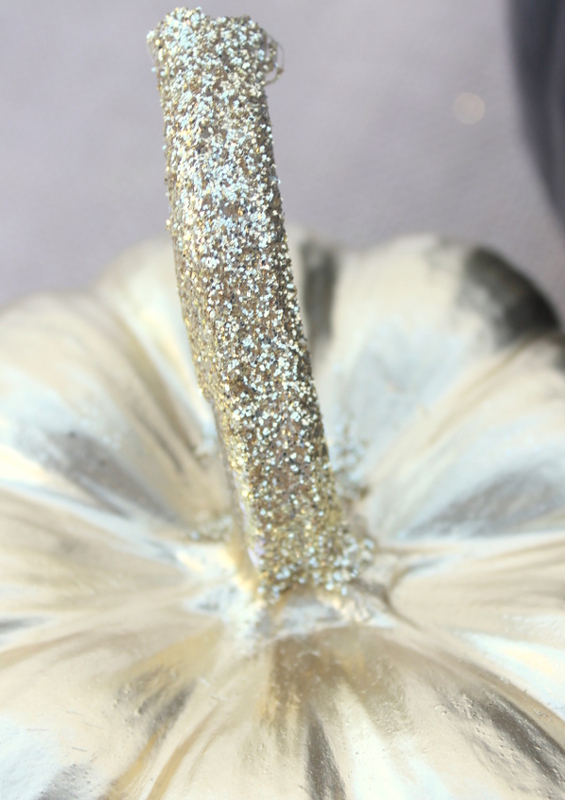 Next, sprinkle a fair amount of glitter onto the Mod Podged portions of our pumpkin. 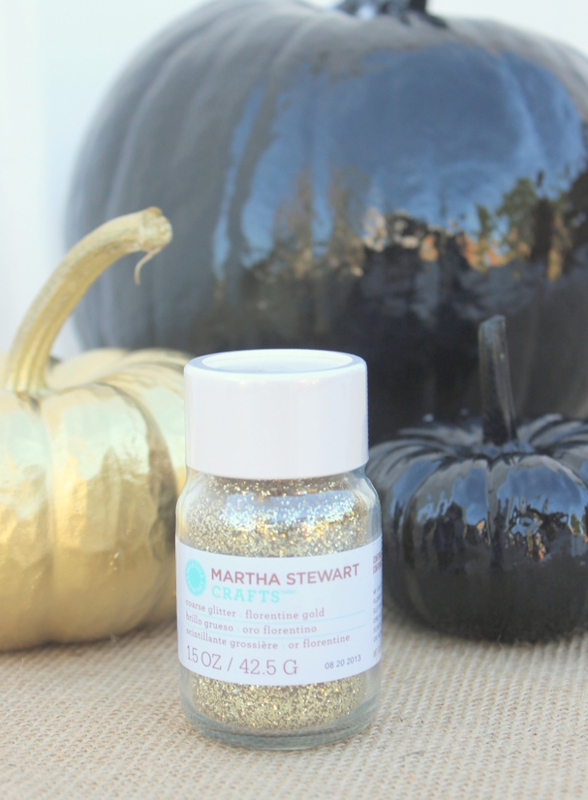 We chose Martha Stewart Crafts Florentine Gold Coarse Glitter and it worked perfectly! 5. 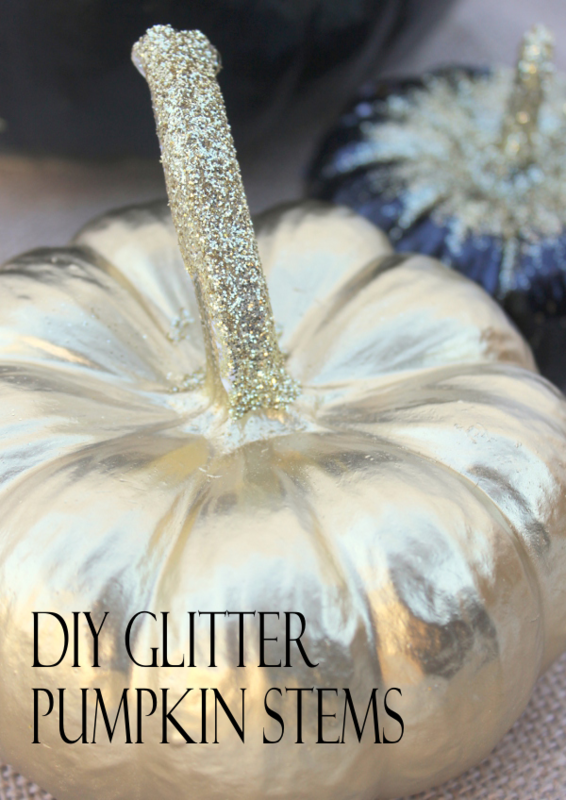 After gently shaking any excess glitter from your pumpkins, you are left with some glittering, fall decor! 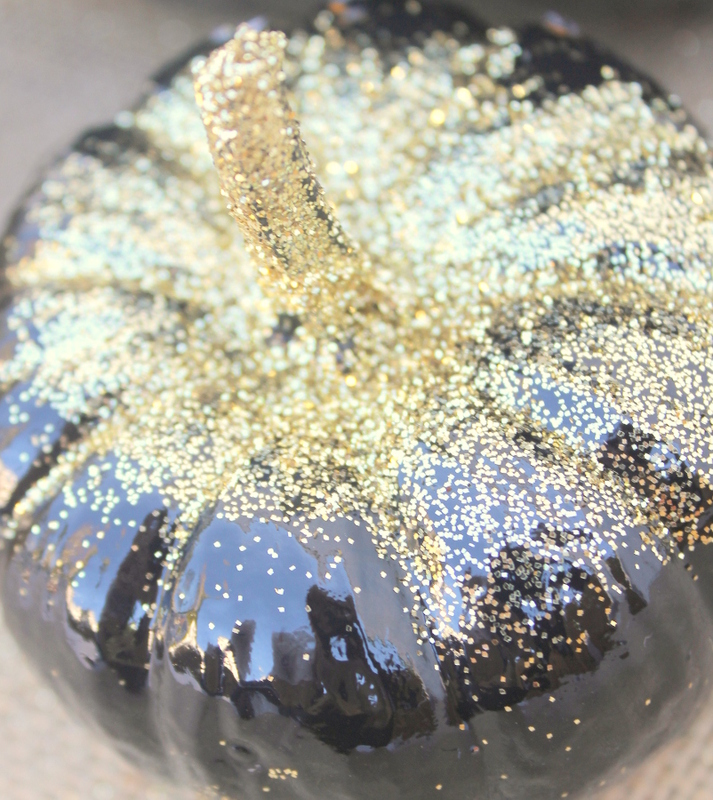 We can’t wait to showcase these gold, glittering pumpkins and take our fall decor from bland to glam! These are absolutely adorable and amazing, I’m definitely going to make gees for our front porch when we finally buy a house! I’m to ally doing this to our pumpkins that we don’t carve this year! This is so cute!! Thank you for linking up to Party Time and we hope to see you again next week!